We played another session of The Outsiders campaign last Saturday, and we kept having issues keeping combat rolls straight. The whole “rolling high to hit a low number” caused confusion on multiple occasions. While this was particularly true for players new to AD&D, even I (the DM) had a hard time explaining it and keeping it straight. I have decades of experience with AD&D, RPGs and negative Armor Classes – but I’m out of practice and routine play. When planning the upcoming gaming weekend for our college group, Richard (“EvilDM” here) and I talked about how we were all probably rusty on the mechanics and the rules. We used to be able to quote rules “chapter and verse”, and instantly find passages in any rulebook. But those days are long gone. The problem with new players, is that they have yet to have those days. And, in the current stage of our lives (work, kids, wives, mortgages, responsibilities…) where we only get to play one Saturday evening every couple of weeks, we probably won’t have those days anytime soon. We played a bit of 4e early on, and while there are things about it I don’t like; it is certainly more accessible from a mechanics standpoint. 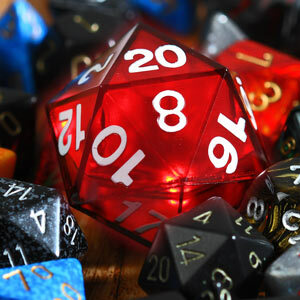 There are already enough “new things” to understand when learning how to play an RPG – we shouldn’t make it any harder than need-be. OD&D and AD&D would have been much easier to learn if we used AC:20 instead of AC:0. I don’t know if there was an inherent desire to create a system that remained “exclusive” to the geeks and wargamers it was targeted at, but overly-complex rules certainly kept people from playing. We all like “belonging” to a group, where we share a particular knowledge and language; whether that be cars, football, computers or cooking. These items help create a certain culture amongst people who share these similar interests. However, should those of us on the “inside” be saddled with an overly complex lexicon and rules of engagement? This is really the beauty of the d20 OGL System. It lowers the bar of entry for new players, and streamlines play for everyone. For what it’s worth (and I hope it’s worth a bit for my players), I’ve decided to put together a “Simplified 2nd Edition” based on the d20 OGL rules. It won’t be a massive overhaul of 2e (that was 3e). The goal will be to streamline the existing rule set with a few tweaks (with a minimum impact for both players and DMs), while maintaining compatibility with existing AD&D rules and content.